the ground floor room to eat kitchen with clear panel for 5 to 6 people overlooking the sheltered garden facing south-west with garden furniture and barbecue. 1st floor spacious room with a seating area. Last attic room floor. Shower room with shower and toilet; large window overlooking the rear garden; washing machine. SHEETS AND TOWELS PROVIDED WITH A CHARGE OF 30 EUROS bicycles; gaming palace, typical of the region. board games, library and children's art supplies. A very warm welcome by the owners started a excellent holiday in this charming property, situated perfectly to access all major routes to the big tourist attractions in the region. The steep stairs to the upper floors may be difficult for people with young children or older guests. Some additional storage space for food and wardrobe space for clothing would be a suggested improvement. We had some lovely days staying here. Thank you to Gaidik and Gilles for making us feel so welcome. It’s located perfectly to explore the area, we visited Dinan, St Malo, Cancale and some villages along the Rance. The gite have a lovely traditional character and well equipped. Garden is beautiful. Very nice, welcoming and peaceful. We spent a week in this beautiful house, our hosts were very welcoming and provided us with some local knowledge and places to go, they were very helpful. The house was clean and ample for our needs, we played golf 5 days in the local area on some superb courses on the coastline. After a tiring day we were able to relax as it is very peaceful and quiet there. A bit out of the way but we had our car so no problem for us. Would highly recommend as a base to explore Brittany/Normandy. Thank you Nikki and Steve Deboeck. We loved this gite! It is near the beach, St Malo, Dinan etc, but still feels very quiet and in the countryside. 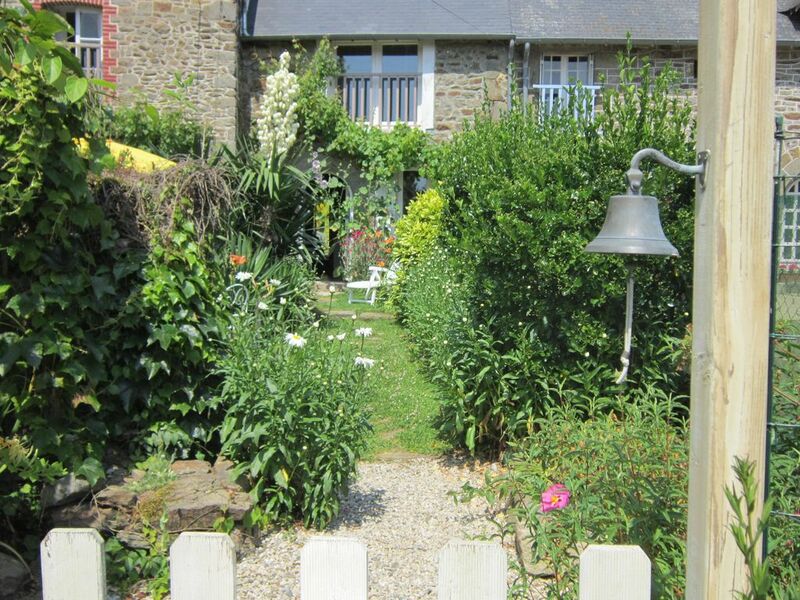 The gite is really well equipped and has a beautiful garden which you can sit in. Our baby was very comfortable with the travel cot that was provided as well! Gilles and Gaidik were very welcoming and gave us lots of information and help. We would recommend this place and would love to stay again! Hôtes charmants. Location toute équipée. Literie parfaite. Jardin et location pleine de charme. Bonne communication de la part des hôtes. Accueil chaleureux et informations données concernant les environs. Maison pleine de charme et super équipée. En campagne au calme mais accès facile pour les grands axes routiers. Hôtes adorables , prêts à rendre service , mais sans s'immiscer . Quel plaisir d'avoir pu déguster des pêches du jardin cueillies et apportées par les propriétaires ! Cuisine super équipée , rien ne manquait . chambre du 1er étage spacieuse , lit parfait . Nous étions tellement satisfaits que nous avons décidé de prolonger notre séjour , et , par chance,il y avait une possibilité !